We welcome diversity, be it diversity of culture, color, ethnicity, religion, sexual orientation or politics. We’re committed to tolerant neighborly living within our small community. Click Snaps to see some more of the photos from our album. 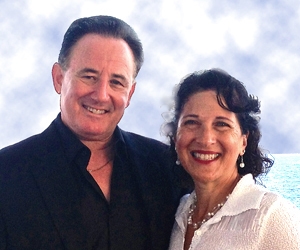 David & Susan have been involved in all aspects of the development of MVCC since its inception. They also dedicate time and resources to their education foundation, which provides intense mentoring and financial support to students from economically disadvantaged backgrounds, throughout college and beyond. They are avid outdoor enthusiasts who love to spend their free time mountain hiking and trekking, skiing, riding horses, bicycling, and adventure traveling. David also enjoys outdoor photography. David’s professional background was in business development and executive management for high-tech start-ups. Susan’s prior career was in biomedical research and freelance writing in the biomedical field. David and Susan have two grown sons, and recently became grandparents. 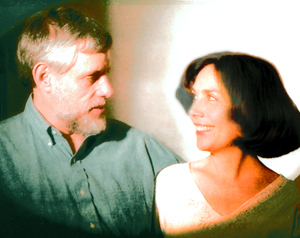 PatZy and Derk grew up next door to each other in Palo Alto. They have three daughters, three grandchildren, and a couple of Pomeranian dogs that are finally learning to behave themselves (more or less). As a busy real estate agent, Derk finds it hard to get free weekends. PatZy, who recently retired from 17 years as a commercial space planner, is currently studying gerontology— inspired, in part, by the prospect of living with all of us in MVCC. Their passions include travel, dining, camping, hiking, and anything having to do with lakes and rivers. Derk is also passionate about his motorcycle; PatZy … not so much. Larry grew up in New York but has lived in the Bay Area for almost 30 years now, 25 of which have been in downtown Mountain View — which he absolutely loves. 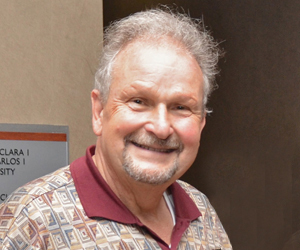 After getting his PhD in Electron Device Physics from Princeton, Larry worked for RCA and Cadence Design Systems and later became a consultant. His career took him abroad often. He stays in contact with his friends in Hong Kong, mainland China, New Jersey and New York and has visited them annually for the past ten years. During a 2011 trip to New York, Larry spent several days in and around Zuccotti Park, where the Occupy Wall Street encampment was centered. In his usual open-minded way, he spoke with police as well as protesters, and sent long reports about his observations back to his MVCC friends. Larry is active with the Mountain View Coalition for Sustainable Planning (MVCSP) and regularly attends the CTC (Continuing the Conversation) meetings in Palo Alto as well as those of the Technology and Science Committee (TASC) in Mountain View. He’s a fan of public transportation —Caltrain and buses— and enjoys traveling, hiking, sampling ethnic foods and reading extensively. 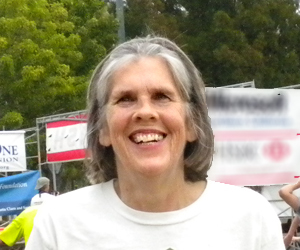 Denise majored in Computer Science at UC Berkeley and retired from a career in tech a few years ago. After growing up in Sacramento, she came to Silicon Valley in 1974 and, except for a brief stint in Boston, has lived here ever since. The oldest of her three kids is following in his parents’ footsteps and is an engineer at Google; the second is a rock musician in Portland; and the third is in college on the East coast. An empty nester, Denise has time to enjoy her passions: playing bridge and soccer, traveling, gardening, and studying Spanish...she’s determined to be fluent before she dies! She volunteers assisting in ESL classes at the local adult school, and as a tax preparer with AARP TaxAide during tax season. 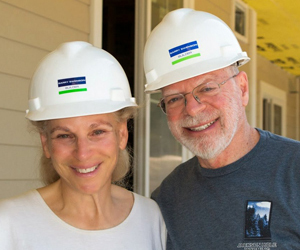 Marcia and Elliot have lived in the Bay Area for over 30 years. They have two grown children and four young grandchildren, and are lucky enough to have all of them living nearby. Marcia worked as a labor and delivery nurse, a freelance photographer, and as patient advocate at a large biotech company. She is passionate about photography, hiking, and gardening. Elliot is a pediatrician, still in practice. He enjoys golf and watching baseball and ice hockey. He is politically active and heads to Washington, DC, on a regular basis to lobby Congress. Elliot and Marcia have traveled all over the world with a particular focus on total solar eclipses. Perhaps their most thrilling trip was to Nepal, where they hiked up 18,400 feet to the base of Mount Everest. Robin grew up in a tiny town on the western edge of the Texas Hill Country, in a family that combined ranching and a small town legal practice. 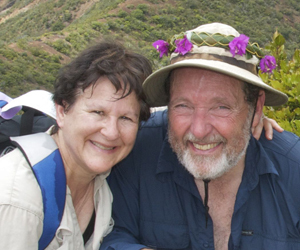 After graduating from college in 1974, he filled the ensuing years with various adventures and travel. In 1981 he began a career in corporate finance in Silicon Valley, then in 2006 changed focus from technology to energy, as part of the small team that founded Clean Power Finance. In recent years, the bulk of his time has been —and still is— spent supervising the care of his parents in Texas and managing the family’s ranching business. Robin’s two grown children —a son who is a product designer and a daughter whose focus is healthcare IT systems— both live in the Bay Area; neither is married yet. His interests include hiking, live music, and reading. He hopes to be able in coming years to re-visit Scotland, Sweden, Norway, France, and Italy, as well as explore new places. Janet and Steve moved from Cambridge MA to join MVCC, but rapidly adjusted to California weather. They have one adult daughter and a small dog. Janet is a recently-retired attorney who worked for the City of New Orleans 2008 — 2012. Before then, her employers included the State of Massachusetts, and private practice in Cambridge specializing in bankruptcy, debt, and credit. She’s originally from Boulder, Colorado. Janet is a gardener, and an avid reader, and dabbles in arts and crafts. Steve is from Connecticut and was a lecturer/researcher at the Harvard School of Public Health; his work dealt with how engineered solutions can be used to prevent the spread of diseases. He is an avid cyclist, and enjoys puttering about and fixing things. 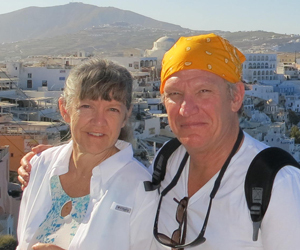 Linda and Mike are navigating the early “empty nest” years, now that their three sons are all in their 20s. Linda is an Occupational Therapist working with special needs children. 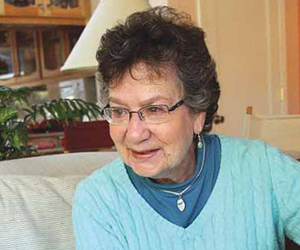 She is a Jewish Spiritual Care volunteer at Stanford Hospital, where she visits patients to bring comfort and spiritual healing. 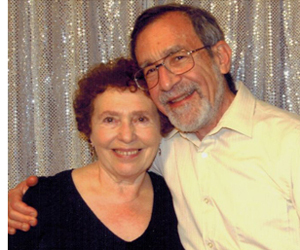 Both are active members of Congregation Beth Jacob in Redwood City, and have also become deeply interested in Buddhist teachings and mindful meditation. Mike enjoys fitness, creative writing and improvisational theatre. Linda’s hobbies include yoga, tennis, hiking, reading, going to films and theatre, traveling, mah jong, Scrabble and just spending time with people. Esther and Lee have been married since 1997. Esther was born in Stuttgart, Germany; she earned a PhD from Rutgers in language education. She is a writer with more than 30 published works. Her son from a former marriage and two grandsons live in England; her daughter lives in NJ. Esther is passionate about her loved ones, language, books and travel; also knitting, quilting, dancing, and cooking/baking. Lee, from Chicago, has twin sons from a previous marriage. After his Stanford computer science PhD and career in academia, he became a massage therapist and now works full time with hospital patients. His interests include technology to promote human interactions, environmental issues, and music. Elisabeth enjoys her work as a mediator and is co-author of the book Conflict— The Unexpected Gift: Making the most of disputes in life and work, which helps people resolve conflicts in their lives. Whenever possible, she gets together with her kids, grandkids and now even great-grandchildren! Unfortunately, most of them live on the other coast and in the Midwest. She enjoys spending time with friends and visitors, theater, classical music, nature photography, reading; and being active in her Christian Science church. She enjoys living in a community of active people with diverse talents and interests. Ron is a native Californian, having grown up in the Napa Valley on a grape and prune ranch. He moved to the Bay Area in 1947 and has been here ever since. He served three years as a Naval Officer, mostly on aircraft carriers. 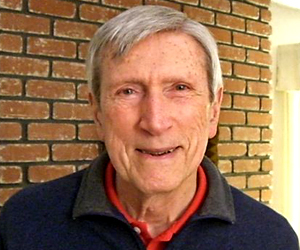 Ron is a retired mechanical engineer, having worked in the electronic defense industry in Mountain View. Ron’s family consists of one brother, two daughters, two granddaughters, and two great grandchildren. 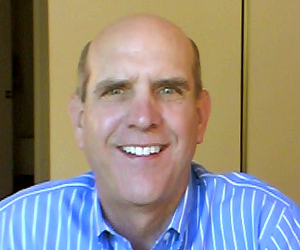 Currently, Ron is an active church member using his webmaster and audio/video skills to support the church. A lover of nature, he enjoys hiking and taking photographs in the local watershed and in the Sierra Nevada Mountains. Volunteering for Second Harvest is fulfilling for him. 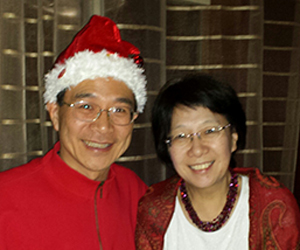 Stanley and Angela were born in Taiwan and came to the U.S. as graduate students. Angela, who has an MS in computer engineering, works in high tech. Stanley, whose MS is in chemical engineering, is now a mortgage broker/financial planner and owner of Nova Financial Services. Stanley enjoys woodworking and has promised to teach others in MVCC these skills. Angela is a gardener and a recreational golfer. 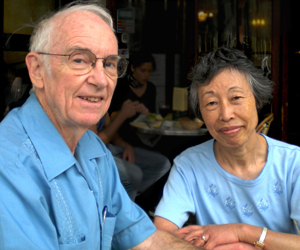 Paul and Sachiko were born in small villages on opposite sides of the Earth— she in Japan, he in England; they met in Toronto while both worked for a computer services company. Sachiko had emigrated to Canada and studied computer science; Paul had moved to the US when his family joined the staff of the UN. Paul worked first in applied psychology, but switched to computing; he now serves as MVCC’s Webmaster. He developed a lasting enthusiasm for Creole during two years in Haiti with a Quaker service project, and likes declaiming poetry ( English or French). They both keep up correspondence with friends overseas from side-by-side computers. They enjoy traveling in Europe and Japan, and occasional bicycling in the Baylands on a tandem modified to accommodate Sachiko’s right-side handicap.